Pakistan Science Foundation (PSF) and European Union (EU) on Wednesday discussed a road-map to reach the highest possible degree of awareness in Pakistan about EU Research and Innovation Program HORIZON 2020 to build a science bridge between the EU and Pakistan. Mr. Stenfano Gatto, Deputy Head of EU Delegation to Pakistan, called on Prof. Dr. Muhammad Ashraf, Chairman PSF. Both the sides discussed future plans such as establishment of PSF as a National Contact Point (NCP) by the Ministry of Science and Technology (MoST), arranging awareness seminars for scientists, engineers and techno-preneurs at Peshawar, Quetta and Karachi as well as submission of joint research proposals to EU. They also discussed other areas of cooperation to promote science in the country. It is pertinent to mention that PSF has been declared as the focal organization of Science and Technology for EU Program HORIZON 2020 by the Government of Pakistan. 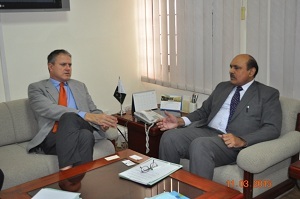 Prof. Dr. Muhammad Ashraf assured Mr. Stefano Gatto that PSF in collaboration with EU Delegation to Pakistan, MoST and other stakeholders would play its role in disseminating information on HORIZON 2020 through seminars at the federal and provincial levels to improve the understanding of how the program operates. 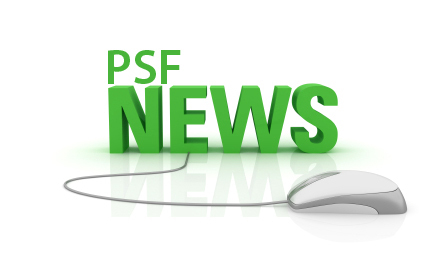 The Chairman PSF said the Foundation being the premier and old entity in the country had a wide scope and reach to R&D organizations and universities in addition to primary and secondary educational institutions to inculcate science culture. The EU and Pakistan took a major step forward in their relations with the entry into force on 1 January 2014 of the special trade preferences for Pakistan – the GSP+ regime. At the same time, another important EU initiative has launched for Pakistan's active participation: the new EU Research and Innovation Program HORIZON 2020. Consolidating the EU's position as a world leader in research and innovation is the primary purpose of HORIZON 2020. But it also allows significant funding to non-EU Member States, offering a country like Pakistan a number of opportunities. HORIZON 2020 is open for international participants to promote joint high profile scientific projects through collaborative consortia together with EU science and technology partners. Importantly, all the bureaucratic tasks associated with applying for research grants will be carried by the EU partners. An impressive €79 billion budget is available worldwide for HORIZON 2020's seven-year term that is, more than € ten billion per year.